Here in New Zealand, we are smack in the middle of Autumn. The mornings and evenings are cooling off but the days are fine with blue skies and warm rays of sunshine beaming down from above (well, this week anyhow). Last week I had to put aside some other tasks in order to rearrange our sitting room to the winter setting – we no longer look out onto the chook-poop covered deck, instead we are cosily gathered around the fireplace. Apples still hang on the trees – some a little pecked as the tui have great feasts and sing their wee souls out which in turn brightens our own spirits. We ourselves are feasting on delicious Golden Delicious, Braeburn, Ambrosia and Royal Gala apples. If you have the room, a Golden Delicious tree is worth the space – a tree-ripened sun-warmed fresh Golden Delicious ought to be on everyone’s bucket list. Speaking of room, I wish upon the magic fairy to increase our orchard so I can fit in more apple trees. The 2015 brochure from Edible Garden arrived in the mail causing me to set aside the very boring job of the annual accounts to peruse and dream of ordering too many trees to fit into our ever-decreasing lawn (the Anster & I believe lawns are over-rated and too much work in the form of lawn mowing but Miss M will divorce us if we don’t leave her a least one little patch of green to lay upon (although I don’t ever hear her volunteer to mow said little patch of green – perhaps some negotiation is in order)). We have a fair assortment of apples in our orchard already, some chosen on their names, others chosen for us and one was well ensconced before we arrived (much to the tui’s pleasure). Although we don’t really have much room for another apple or two, I can’t help but pick out what I would add to our collection if I could think of where to plant it. I have contemplated planting them on the empty section next door (no we don’t own it) or planting them on my brother’s place – he has about 7 acres of land, imagine the apples I could fit over there. I thought we really needed a couple more late season apples – I have only got the Golden Delicious, Granny Smith & Kentish Fillbasket (yep, that was chosen for the name!). The Golden Delicious & Granny Smith were chosen for us – I probably wouldn’t have planted the Golden Delicious because (until now) every one I have tried has been floury and tasteless. 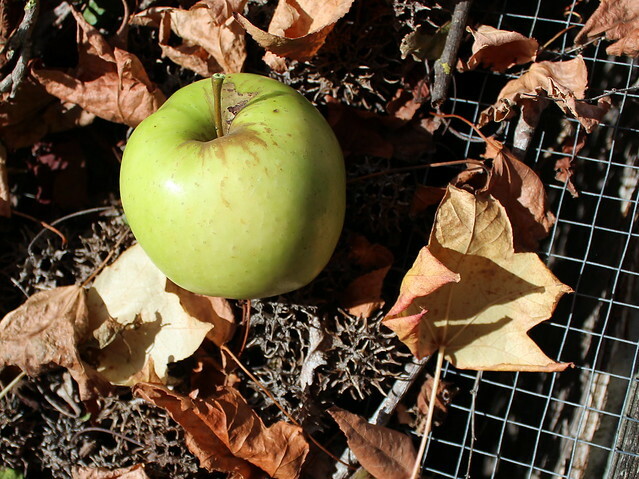 However, I am super grateful to our Landscape helper (aka The Anster’s cousin) that we ended up with a Golden Delicious in our orchard collection. Back to the non-heirloom apple section, with the early apple and very late apple filling in our apple season, I return to my usual method of choosing. The Belle du Boskoop gets a tick as the name rolls pleasingly off the tongue while the Dayton…… nuh, too boring. 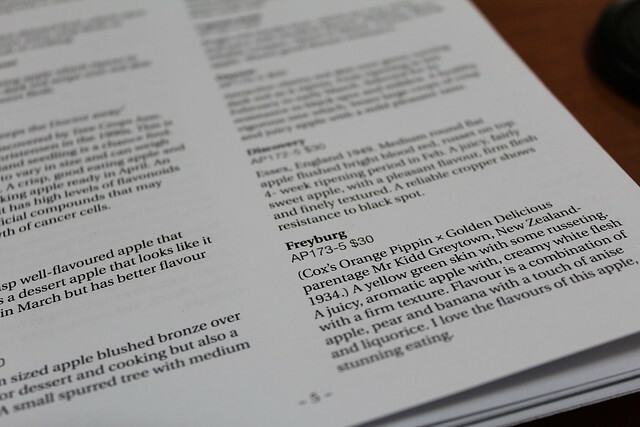 The Freyburg sounds interesting – a Cox’s Orange Pippin Golden Delicious cross which is described to have an apple, pear, banana flavour with touches of anise and liquorice. Ohhhhh, yep that one too please. So 4 apples on the list – but if I order 5 I make the most of the postage. 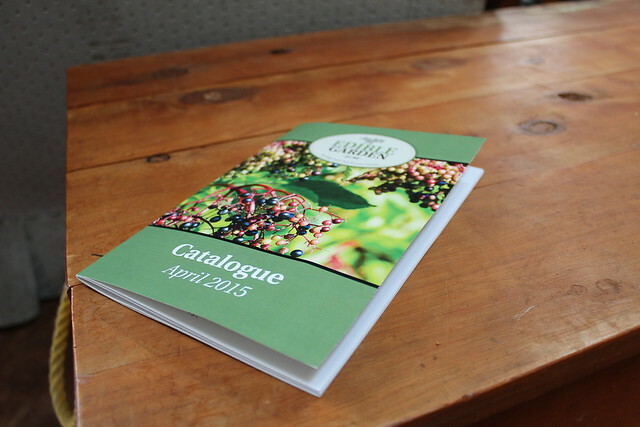 Back to the catalogue….. Note: I have not been paid nor have I received anything free from Edible Garden. 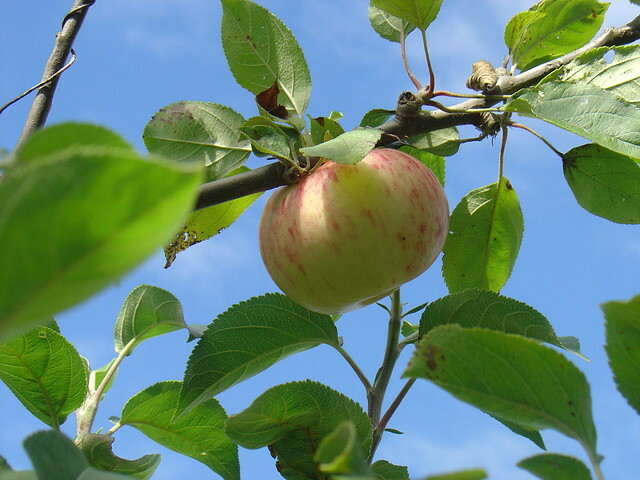 There are plenty of other orchards & nurseries from which apple trees can be purchased but we are plenty pleased with the service from Edible Garden so that’s the one we stick with. 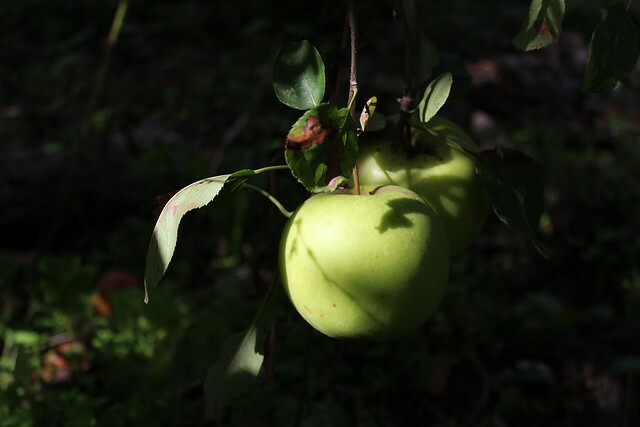 This entry was posted in Apple Varieties, Autumn, Gisborne Life and tagged apple orchard, apple trees, Edible Garden, Golden Delicious by Jo Dohrman. Bookmark the permalink.